Adopt the British fenner's technology, on behalf of the current domestic most advanced technology. With glue and marinade mixture with core are directly for laminating curing under high temperature molten state, high bonding strength, long product life. 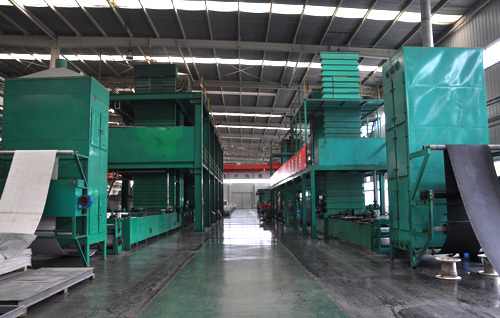 Adopt international advanced coating law production equipment, hanging plastic, plasticizing four times three times. To ensure the conveyor belt cover layer thickness, conveyor belt soak glue more completely in the production process, plasticizing maturity is better.